This post, my friends, should actually be called how to blow your entire monthly grocery budget in 12 short days because that’s just what we did. Before you think we got all irresponsible though, and lived the high life eating lobster and crab legs (don’t I wish! ), there are two important things to know. 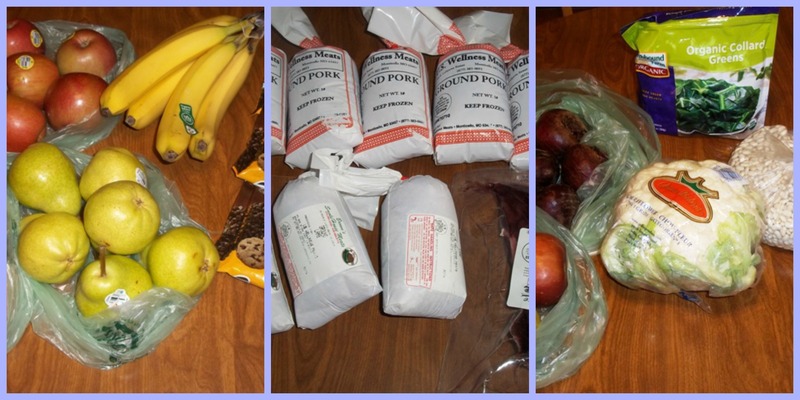 Second, I had a mammoth freezer cooking session that resulted in our freezer being stuffed to the gills with 35 meals (plus all of that yummy beef!). Oh, don’t forget I also made my monthly trip to Costco and spent $180 there. Now we’re stocked up on rice and soy milk and eggs and snacks for the month. The only thing we’ll have left to buy this month is fresh fruit and my vegetables, which is good, because there isn’t a whole lot of grocery money left! We’ve been doing this challenge for 38 weeks now, and our goal is to not spend more than $203.30 per week to buy organic vegetables and grass fed meat in addition to all of the specialty items we need for our dairy free, gluten free diet. 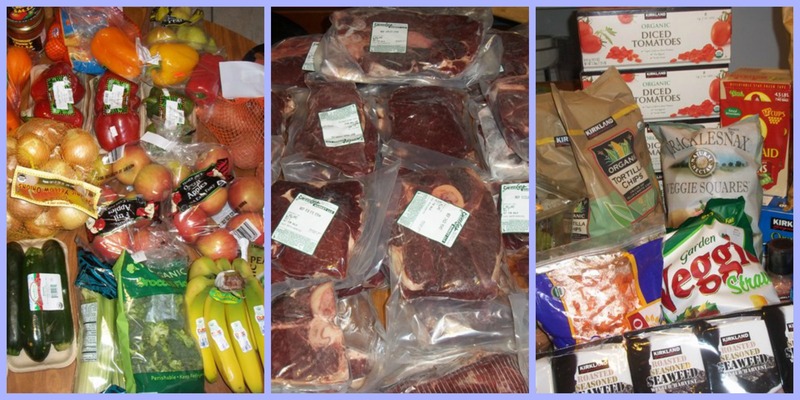 After this shopping bonanza, the average is $209.22 per week. Yikes. Hopefully the rest of April will see this decrease. If you’d like to see everything we bought at each store, our shopping trip totals as well as some meals we ate during the two week period, this short video will show you everything.